Native Bird Care has several aviaries. Our largest is built to hold larger birds or several birds at a time. At 16' x 20' it has been home to everyone from Long Billed Curlews to a family of Northern Flickers. Each species has some adaptation that is needed, so the aviary is 'remodeled' on a regular basis! Our small to medium sized songbirds enjoy a 12' x 16' aviary. All birds need an aviary at some point in their care. For juveniles, aviaries are the only place they can fully develop the muscle mass and strength they will need to escape predators and forage successfully, and also to migrate the often thousands of miles these birds go. 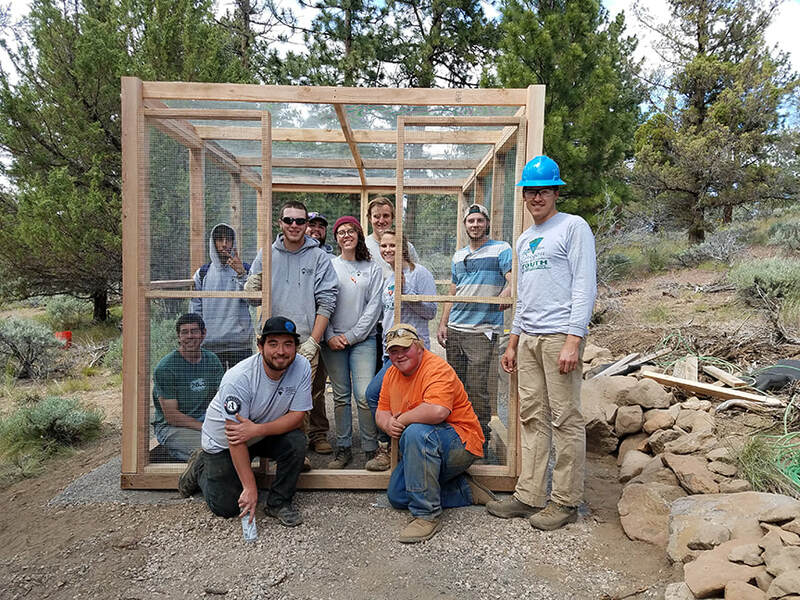 In 2017, Heart of Oregon was gracious enough to donate the labor to help us build another aviary. This one is housed for quail and shorebirds. 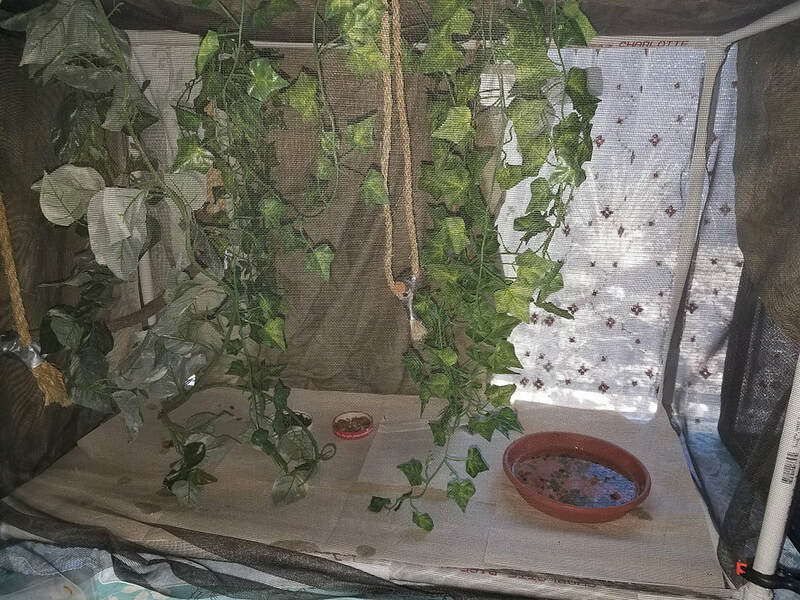 It is set up differently inside for this reason, with fewer branches and trees. It is also set back farther from the other center activities as these types of birds are easily stressed and can hurt themselves when scared. We also have a hummingbird aviary that is 4' x 8' for the smallest of our bird rescues. This aviary is also set up a bit further from main center activities to reduce stress. 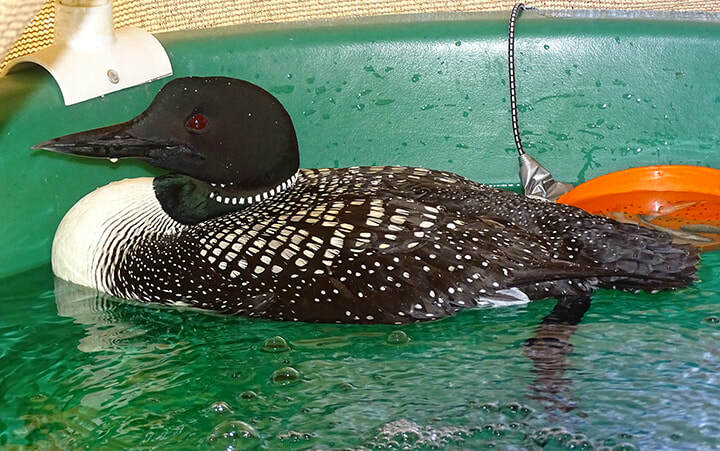 Waterbirds are one of our favorite birds here, and Elise has specialized training in their care. We are one of two facilities in Oregon approved for long-term Swan care. We have several pools, from small ones sized for little grebes to large pools that a swan can swim in. All have filter systems and are recirculating, which is the key to keeping a waterbird from developing chest and foot sores, and getting them waterproof. Anyone who followed Hope the swan, will have seen our two largest pools we put together specially for her. Inside the center, we take just as much interest in how the birds are housed as we do for the outside. We do not use bird cages because the bars are too wide. This allows a bird to get their wings through the bars and strip off the barbs. Since wing feathers cannot be pulled to regrow, this means the bird must stay in care for months or even a year. Many songbirds could not withstand that kind of captivity stress. We use soft-sided netting for many birds, like the one shown. There are a wide variety of sizes we use, along with all sorts of other housing like incubators. Volunteers Wanted! Many projects can be done at home!